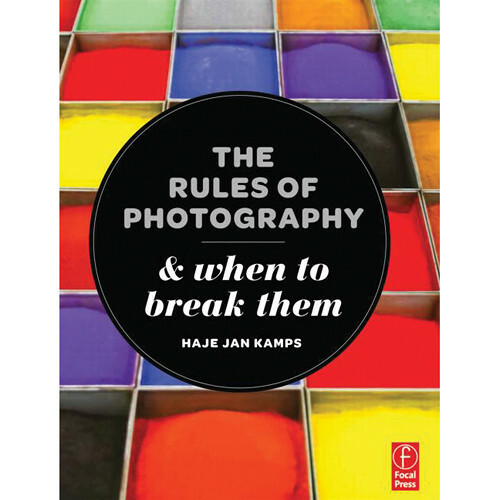 Written to inspire creativity in new and intermediate photographers, Haje Jan Kamps' The Rules of Photography and When to Break Them from Focal Press helps readers reach beyond tried and true photography dictums and develop a more individual and creative style. Comprising 176 pages, this softcover book highlights many of the age-old rules of photography and offers ideas on how to push the boundaries in unique ways. Designed for photographers making the move from auto to manual camera controls, this book offers creative ideas and examples to provide readers with the tools to more easily achieve fresh and exciting photographs. Haje Jan Kamps has been a freelance writer and photographer as well as an editor. In addition to his popular do-it-yourself photography blog, photocritic.org, Kamps is known for his creative inventions such as a macro extension tube made from a Pringles can. Box Dimensions (LxWxH) 10.1 x 7.6 x 0.5"